A press conference on this topic will be held Monday, Aug. 20, at 9:30 a.m. Eastern time in the Boston Convention & Exhibition Center. Reporters may check-in at the press center, Room 102 A, or watch live on YouTube http://bit.ly/ACSLive_Boston2018. To ask questions online, sign in with a Google account. BOSTON, Aug. 19, 2018 — Many people rely on contact lenses to improve their vision. But these sight-correcting devices don’t last forever — some are intended for a single day’s use — and they are eventually disposed of in various ways. 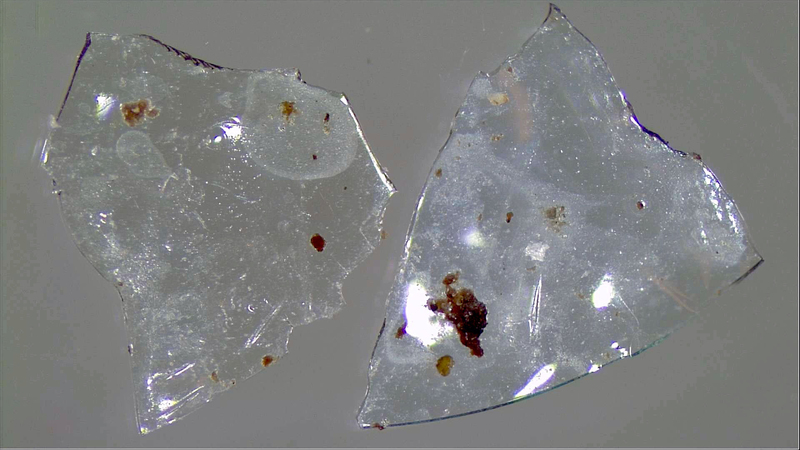 Now, scientists are reporting that throwing these lenses down the drain at the end of their use could be contributing to microplastic pollution in waterways. The inspiration for this work came from personal experience. “I had worn glasses and contact lenses for most of my adult life,” Rolf Halden, Ph.D., says. “But I started to wonder, has anyone done research on what happens to these plastic lenses?” His team had already been working on plastic pollution research, and it was a startling wake-up call when they couldn’t find studies on what happens to contact lenses after use. Analyzing what happens to these lenses is a challenge for several reasons. First, contact lenses are transparent, which makes them difficult to observe in the complicated milieu of a wastewater treatment plant. Further, the plastics used in contact lenses are different from other plastic waste, such as polypropylene, which can be found in everything from car batteries to textiles. Contact lenses are instead frequently made with a combination of poly(methylmethacrylate), silicones and fluoropolymers to create a softer material that allows oxygen to pass through the lens to the eye. So, it’s unclear how wastewater treatment affects contacts. These differences make processing contact lenses in wastewater plants a challenge. To help address their fate during treatment, the researchers exposed five polymers found in many manufacturers’ contact lenses to anaerobic and aerobic microorganisms present at wastewater treatment plants for varying times and performed Raman spectroscopy to analyze them. “We found that there were noticeable changes in the bonds of the contact lenses after long-term treatment with the plant’s microbes,” says Kelkar. The team concluded that microbes in the wastewater treatment facility actually altered the surface of the contact lenses, weakening the bonds in the plastic polymers. “When the plastic loses some of its structural strength, it will break down physically. This leads to smaller plastic particles which would ultimately lead to the formation of microplastics,” Kelkar says. Aquatic organisms can mistake microplastics for food and since plastics are indigestible, this dramatically affects the marine animals’ digestive system. These animals are part of a long food chain. Some eventually find their way to the human food supply, which could lead to unwanted human exposures to plastic contaminants and pollutants that stick to the surfaces of the plastics. The researchers acknowledge support and funding from ASU’s Human Health Observatory and the Virginia G. Piper Charitable Trust.